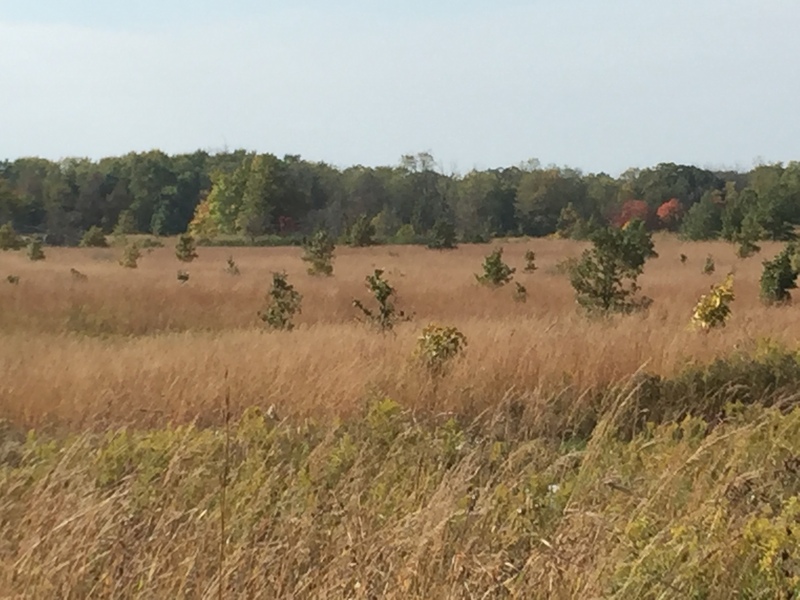 There is ample opportunity to create buffers and corridors that connect isolated remnant habitat with core natural areas and help link Fermilab ecosystems with adjacent preserves in DuPage and Kane counties. In the Midwest, habitat is defined as remnant if significant native vegetation persists and it was never drained, plowed, or clear-cut for wetlands, prairies or woodlands, respectively. Areas of remnant habitat, or remnants, are usually small, isolated from other habitats and prone to invasion. However, they may harbor relict plant or wildlife species that are rare, threatened or endangered. These species take refuge in the fragmented remnants and can provide important genetic diversity to communities at the local scale. Removing invasive species, restoring disturbance regimes, creating buffer habitat and connecting remnants are critical actions that can be taken to reverse the trend of remnant species loss. 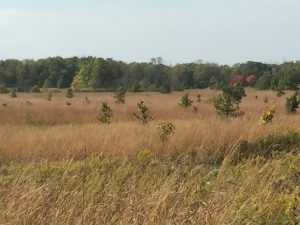 Since the onset of the prairie project and ecological land management at Fermilab, many remnant woodlands and wetlands have been connected via prairie plantings and Arbor Day activities. The core natural areas and habitats that make up the majority of the central and west campus are great examples of how to decrease fragmentation and create large, core ecosystem areas. The Kress Creek corridor as well as south and east sides of the Fermilab site are dominated by agriculture, yet many remnant habitats exist in isolation. There is ample opportunity to create buffers and wildlife corridors that not only connect these isolated areas with the core natural areas but also help link Fermilab ecosystems with adjacent preserves in DuPage and Kane counties. This type of conceptual planning is critical for landscape level ecosystem management and success of regional conservation initiatives.